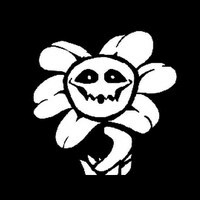 AlteredTimeline is a Undertale AU that I created, well it's not set in a different universe like other AUs. Except it takes place in a Timeline where Asriel dies but Chara still lives and hangs around Waterfall not trusting any human that falls down after Asriel's death. I plan on having this be divided up into Chapters so it will be a lot easier I don't when this project will be done that just depends and Actors don't have to rush their role they can take their time after all this just for fun! Chara is sometimes calm but if you annoy her too much she can get mad and likes to speak in sarcastic tone when speaking normal. *This is said in a sarcastic tone* Oh Look.... Another fallen human child heh you'll totally get past Undyne... NOT! *Semi-Crying* Asri-el? Please don-t die on me! I'm suc-h a idiot for taking you to the Sur-face. 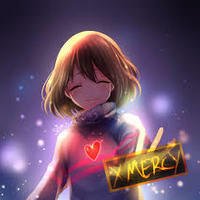 *There is anger in her voice but she tries to remain calm* Frisk.... What has gotten into you?! I thought you were better than this! Was that happy ending all for nothing?! Oh well it won't matter anyway I can easily wipe you out.... I am DETERMINED to stop your genocide! 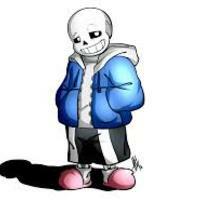 Sans is a calm and relaxed character he likes to make puns and nap all day however he is different in the genocide timeline he is angry during that timeline. *Nervous tone* Frisk... 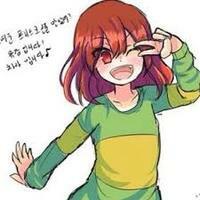 I would stay away from Chara if I was you she can be odd at times. *Relaxed voice* Huh? 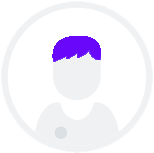 What's that kid You wanna talk to her? Well its your funeral I guess. *Anger, Sadness, and pain is in his voice* Ugh... Well kid you ma-y have defeated me... But I PROMISE you your next opponent won't be so easy..
Frisk is a kind and respectful lady but when she goes on the path of genocide she starts going insane as her LOVE increases. *hint of sadness in her voice* Hey, Chara I know you don't want me near you but I just want to let you know your not the only who has lost a loved one. *Is insane and laughing* Hehehe... How brave of you Chara to protect that stupid do you think you have a chance against me? Sans lost to me.... *In demonic voice* AND NOW YOU TWO ARE NEXT! Wow! I can't believe Chara is alive! This is going to be a great reunion once I destroy the Barrier! Howdy, Chara remember me? its your best friend Asriel hehehehe. Cha-ra yo-u saved me I-I-I don't know what to say! 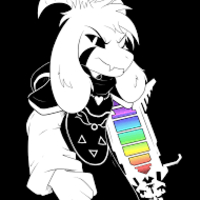 Asriel is sweet kid but when he transforms into his God Form not so much. Howdy, Frisk and Chara it's me! *Transforms into a God* ASRIEL DREEMURR! *Crying in his child form* I'm sorr-y Char-a and Fris-k I just wanted to help all of Monster kind.... But being a souless flower for so long has changed me... And I should never be forgiven. *Anger in his voice and he's in his God form* With me and Chara's powers combined we'll make sure you suffer for your crimes!